Many of us know someone who has either worked or resided in an assisted living environment. Assisted living facilities provide thorough care and a sense of community for older adults and individuals living with disabilities. Celebrating National Assisted Living Week gives us a chance to recognize all of the staff, volunteers, and communities that play a vital role in making these facilities a success. So get ready, September 8-14 is a week to point out the amazing things that go on within the world of assisted living. The National Center for Assisted Living started National Assisted Living Week. Whether it is a family member or friend, make it a point to visit someone. Whomever you are stopping by to see is sure to appreciate the visit, and you will have the chance to catch up on old times and become more familiar with the community. Many assisted living communities offer tours to help acquaint the public with the services provided. A tour will help familiarize you with all of the amazing things that take place there on a daily basis. Consider writing a few letters or gathering a group of kids together to design art projects. These thoughtful gifts are sure to put a smile on just about anyone's face. By 2040, it's estimated that there will be 14.1 million people over 85. The Assisted Living Federation of America has estimated that the female to male ratio in assisted living communities is 7:1. 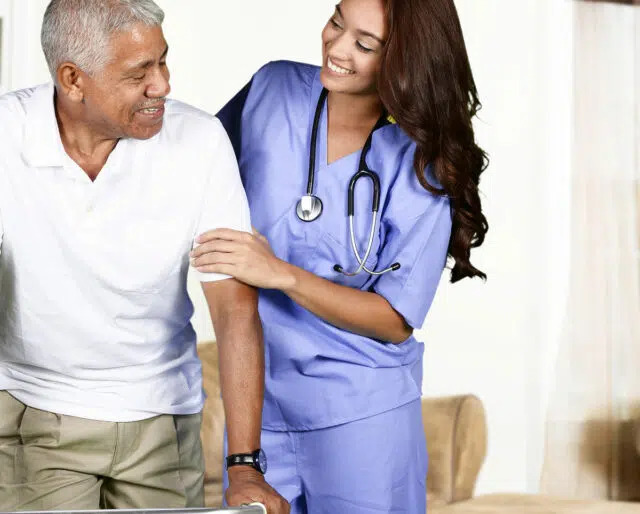 Unless you know someone who lives in an assisted living facility, you may not be familiar with many of their services. National Assisted Living Week serves as a time for these communities to host special events — ranging from lectures to volunteering opportunities. The week helps to fight any stigmas that people may have about choosing to reside in a place other than the home they have lived in for years. Thanks to National Assisted Living Week many people find that these facilities are great housing options. This year, it's "Capture the Moment." The theme has the goal of inspiring assisted living facility residents to seize the day and take advantage of all that life has to offer. Now, that's a mission we can get behind.